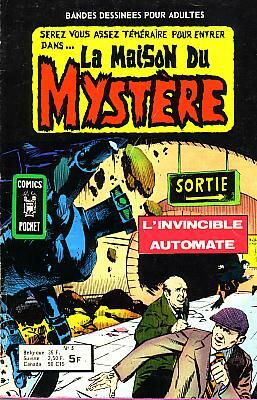 → House Of Mystery (1°) #193 (1) (07/71) Voodoo Vengeance! → House Of Mystery (1°) #193 (2) (07/71) Dark Night, Dark Dreams! → House Of Mystery (1°) #191 (1) (03/71) No Strings Attached! → My Greatest Adventure (1°) #60 (4) (10/61) The Alien Within Me! → Unexpected #117 (2) (02/70) Hands Of Death! → House Of Mystery (1°) #195 (1) (10/71) Welcome To The House Of Mystery! → Tales Of The Unexpected (1°) #11 (1) (03/57) Who Am I? → House Of Mystery (1°) #20 (2) (11/53) Mr. Mortem! → House Of Mystery (1°) #198 (4) (01/72) The Day Of The Demon! → House Of Mystery (1°) #198 (1) (01/72) Two Lives To Live! → House Of Secrets (1°) #58 (2) (01/63) Time Bomb From 1500 A.D.
→ House Of Mystery (1°) #202 (1) (05/72) The Shearing Of A Soul! → Unexpected #146 (1) (04/73) The Monstrosity! 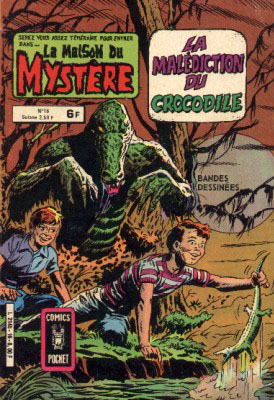 → House Of Mystery (1°) #201 (5) (04/72) A Tale Of Vengeance! → Ghosts #5 (2) (05/72) The Hands From The Grave! → Unexpected #153 (1) (12/73) Who's That Sleeping In My Grave? → Unexpected #141 (1) (11/72) Just What Did Eric See? → House Of Secrets (1°) #107 (3) (04/73) The Night Of The Nebish! → House Of Secrets (1°) #125 (1) (11/74) Catch As Cats Can! → House Of Secrets (1°) #128 (1) (02/75) No Way To Run A Railroad! → Unexpected #173 (1) (05/76) What Scared Sally? → Unexpected #168 (3) (09/75) Who Killed Raggedy Annie? → My Greatest Adventure (1°) #72 (2) (10/62) We Mastered The Menace Of Wrecker's Reef! → House Of Mystery (1°) #221 (1) (01/74) Pingo! 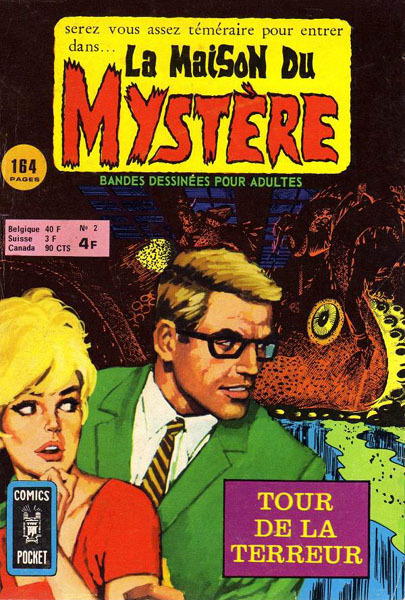 → House Of Mystery (1°) #223 (1) (03/74) Demon From The Deep! → Unexpected #162 (3) (03/75) When Is It My Time To Die? → House Of Mystery (1°) #29 (2) (08/54) Enter The Ghost! → Secrets Of Sinister House #6 (2) (08/72) When Is Tomorrow Yesterday? → Ghosts #9 (5) (11/72) The Phantom That Never Was! → Ghosts #9 (1) (11/72) The Curse Of The Phantom Prophet! → Unexpected #191 (9) (05/79) The Fine Art Of Murder! → House Of Mystery (1°) #241 (2) (05/76) Death Pulls The Strings! → House Of Mystery (1°) #242 (1) (06/76) The Balloon Vendor!